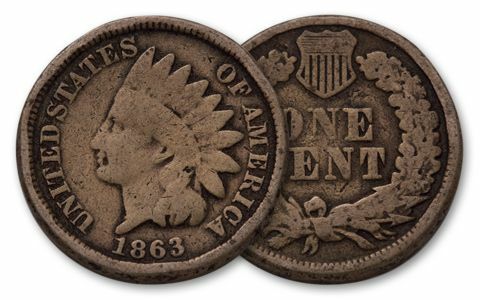 U.S. Mint Defies Confederate Threat! Gettysburg. The battle that turned the tide in the Civil War. If the South won, the way into the north lay open. The Philadelphia Mint, with it's stock of gold and silver could be the target. It was just 111 miles away! 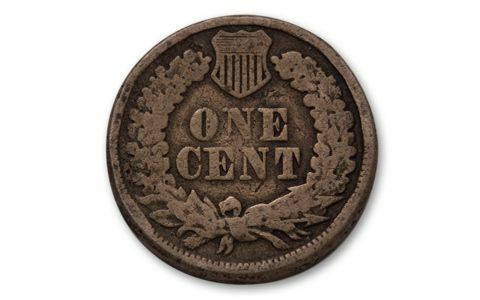 But as the battle waged the mint ignored the threat and continued to strike coins like this 1863 Indian Head Cent. 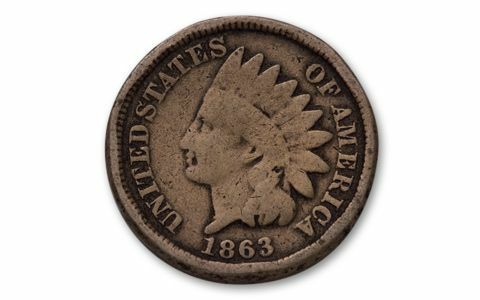 The coin features Miss Liberty in an Indian Headdress and a wreath capped by the symbol of the North-the Union Shield. 2011 marks the 150th anniversary of the Civil War. Get this memento of the battle that turned the tide in Good to Fine condition.